Awesome! Thank you so much! Very happy with my purchase. What a difference you feel right away having this on your device. Definitely ordering more. 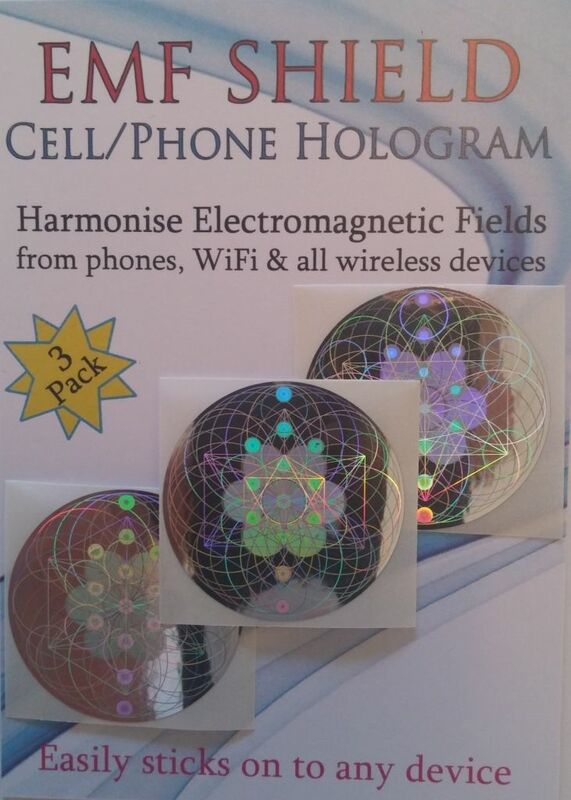 Very beautiful color sacred geometry hologram! I love this pendant and am wearing it almost every day. I see people staring into it and wish I could see it that much as well! 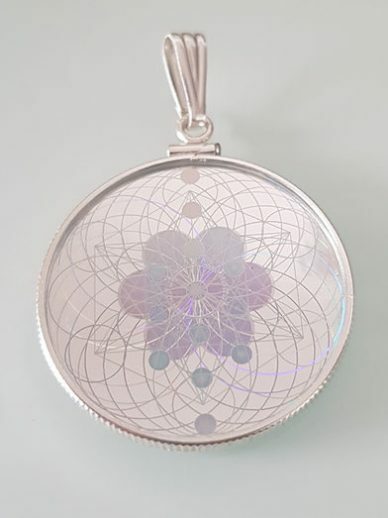 The most eye-catching pendant possible; impossible to describe the spectrum of geometric goodness. I love mine! Very easy to apply and love how it looks. It is really beautiful to look at and I know I am protecting myself.. thank you! After receiving my order of two of these stickers, I ordered the pendant. They are pure magic! I love sacred geometry. 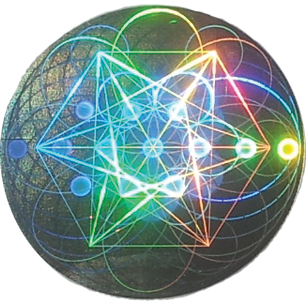 My favorite is Metatron’s cube, which is within this hologram also.